Indeed, new practices and technologies such as digital medical records and high-throughput sequencing open new ways for medical doctors and scientists to investigate human biology and diseases. However, this new model raises many fundamental questions. 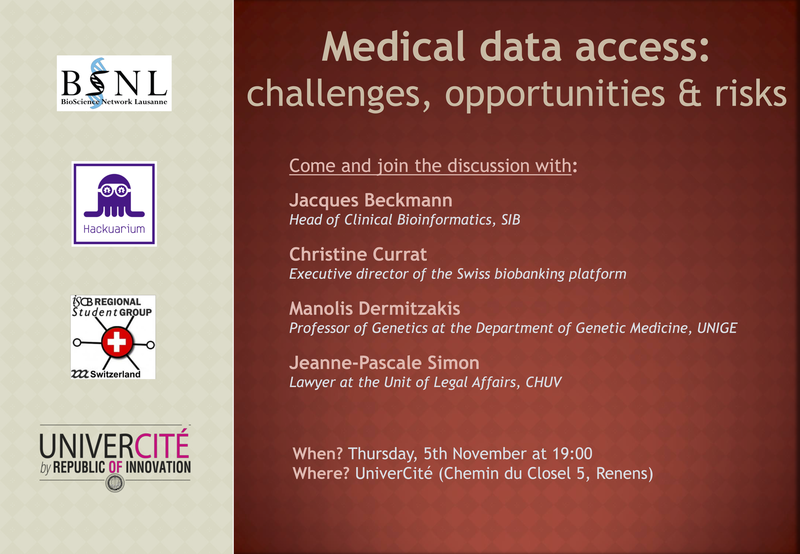 We would like to discuss them in our round table to make clear what are the opportunities that exist now and how can the medical data be handled in a way that the rights of patients are preserved. – What can personalized medicine offer? – What ethics problematic are at stake with personal medical data and how can the law protect patients? – What is the current state of the infrastructure for these data and the existing tools for researchers? – How to manage these data and ensure confidentiality, but to allow access to researchers? – How much investment is needed today to support this data tsunami? – What is the need in medical data literacy for its potential users? – How many trained people do we need in the area? – Can citizens take part in this revolution by doing citizen science/biohacking/DIYbio?